It’s no secret that the mobile market is ever expanding. And with the much-anticipated Mobilegeddon, web browsing from any device will be easier than ever. On April 21st, Google will release their latest algorithm, prioritizing responsive websites ahead of those that aren’t. Bearing this in mind, the Yola team would like to ensure you that each of our Templates featured in the Template Gallery incorporate responsive design. 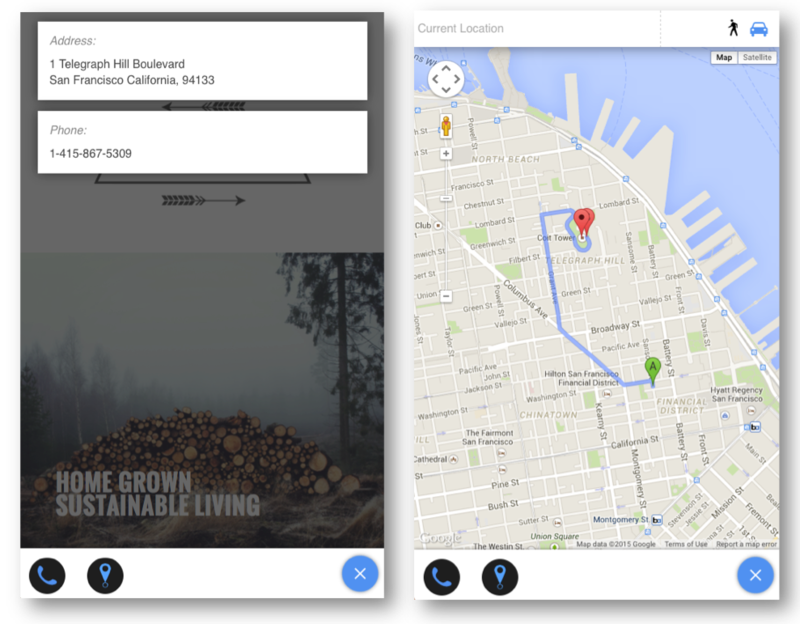 Site navigation that automatically adapts to any screen size. A condensed version is rendered on smaller screens to ensure that all content is visible. Content columns that automatically wrap site content to ensure that content is visible without needing to zoom or scroll horizontally. Font sizes that scale automatically to match any screen size. This provides an optimal reading experience. Picture widgets that automatically resize to fit the available viewport. This removes the need to zoom or scroll horizontally. And the benefits for Yola Silver and Gold subscribers come two-fold. Along with having intuitive responsive websites, premium users have the ability to add click-to-call and site location features to business websites making it even easier for mobile visitors to get in contact with you. These enhancements are available for any of the Templates in our Template gallery, as well as our Recommended Styles within the Yola SiteBuilder (these can be navigated here: Style > Styles > Recommended). Adding the responsive enhancements to your website is a cinch. 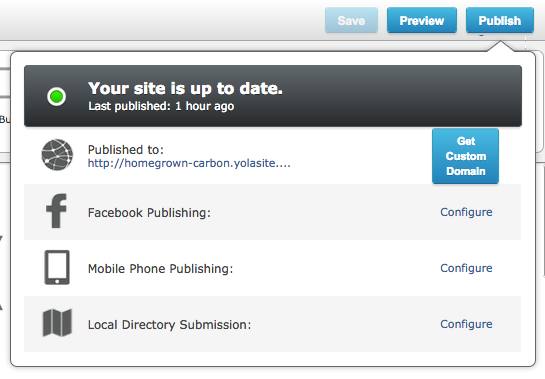 Free and Bronze users, simply republish your website with any of these Templates and you’re set. Go ahead and republish your site and you’re set. Is your business website ready for 2016? I am wary of Widgets,don’t even like the word…Change?Too many App drama..
Why will old style blogs be penalised? For a local search the old style blogs are much more effective than the new Tumblr blogs. Hi, is the “Serendipity” style not responsive? It is in Style > Styles > Recommended but doesn’t show up as responsive on the mobile friendly test. The very first one that is – the one titled spanish kitchen Tapas. The Serendipity Style is responsive. Have you republished since the new mobile release? We suggest republishing and trying the mobile friendly test again! I’m probably in the minority but Google users are not my business priority. People comeing to my site come because I’ve already told them where it is or the systems they use automaticaly seek the site without intervention. Google’s reputation is also worsened recently with my clients and they are already useing alternative search services. The idea of adaptabilty makes sence for genral useabilty reasons so its worth going though the process if you rely on templates that may have floundered some browsers before. Though my site tried to avoid to much complexity in the presentation markup delibratly to avoid causing problems to both simplified and older browser systems, from the begining. I also tried to adhere to the original fallback markup for complex presentation features like A full alternative page here and , alt texted images, and alternative menuing and/or fallback when useing ismap’s and cgi linked images etc. I have noticed a huge cpc increase in my website is this because Google’s algorithm update ? whats going on? What does CPC stand for ??? Hi Rameez – Google’s new algorithm will not affect your paid search campaigns. Let us know if you have any other questions! I don’t know what style of template I have. Can you please look at http://www.biostrat.ca and get back to me with the style and if it to be changed or not.Thanks. anyone knows if the blank template is mobile friendly? The Blank Template is mobile-friendly! Can you give us a little bit more detail to what you’re trying to accomplish? Hi, I changed to a yola recommended template and it seems to have solved the problem, thank you ! Do I have to change the style I am currently using to one of the responsive templates? If I do will all the modifications and customisations I have made to my site be exported? Or will I have to start all over again? 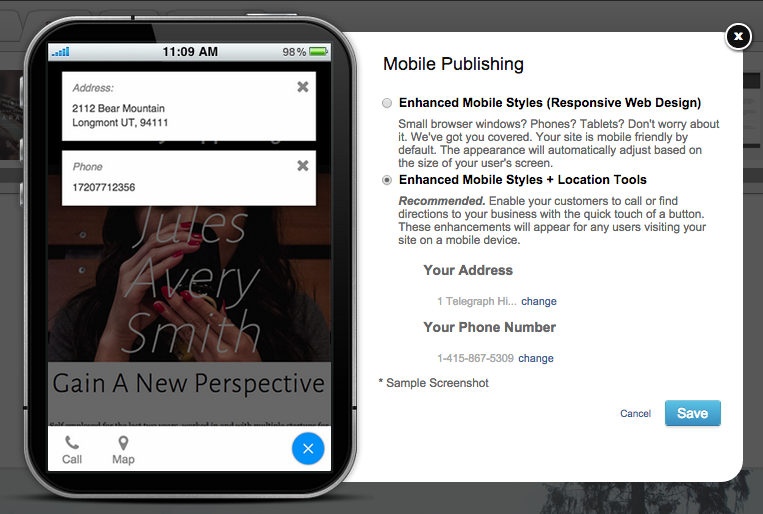 I already have mobile publishing on my site, but haven’t seen the message bar saying that my site is mobile friendly. Hi Alda. 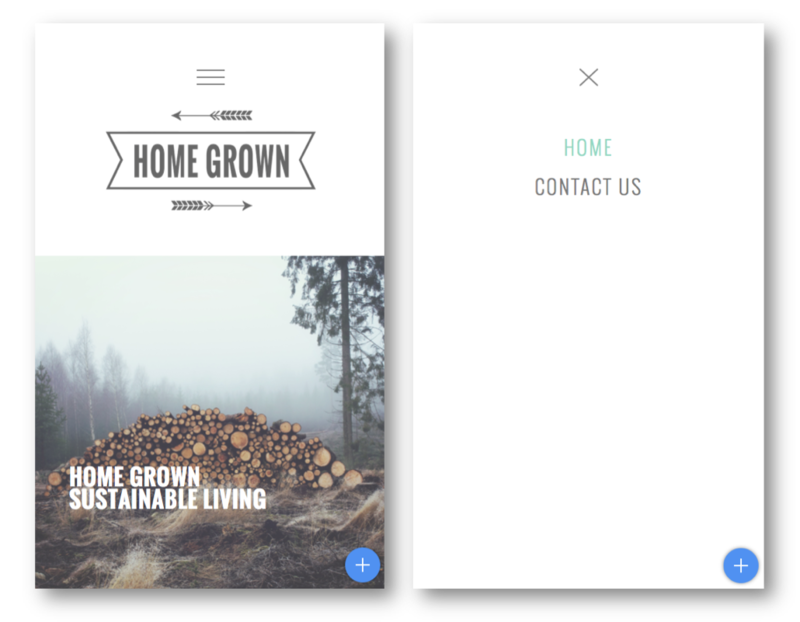 While you’re not using one of our responsive enhanced templates, you are using our mobile functionality and your site is therefore mobile friendly. However, if you’d like to change your Style, you can easily do so whenever you wish. When you do this you will not lose any content from your page. It will all be transferred over to the new style. However, if you have added a custom background or banner, you will need to re-add these if the new style allows for this option. Great post. I am using VideoPro theme on my website. Any idea how to make it mobile responsive? your professional experience in advance! We do not have any Styles with the name VideoPro. Is the account you’re using with Yola? If so, any of the of the Styles within the recommended tab (Style > Styles > Recommended). I got it. It was actually not Yola account.